Simufact Engineering, an MSC Software company, has received the Gold German Stevie Award in the category “Best New Product or Service Software – Other” for its simulation solution Simufact Additive. Simufact Additive helps users simulate and optimize metal-based additive manufacturing processes – often referred to as 3D printing. The German Stevie Awards are one of the most renowned business awards in Germany. In addition to this award, Simufact Additive is one of the nominees for the Best of Industry Award in the Additive Manufacturing category. For the third time, the German trade journal MM Maschinenmarkt by Vogel Business Media praises the industry award for products, materials, solutions, and processes. In 2017 Simufact already won the IT Innovation Award of Initiative Mittelstand for its new product. Simufact Additive is a powerful and scalable process simulation environment for ‘“first time right” optimization of laser powder bed fusion processes. 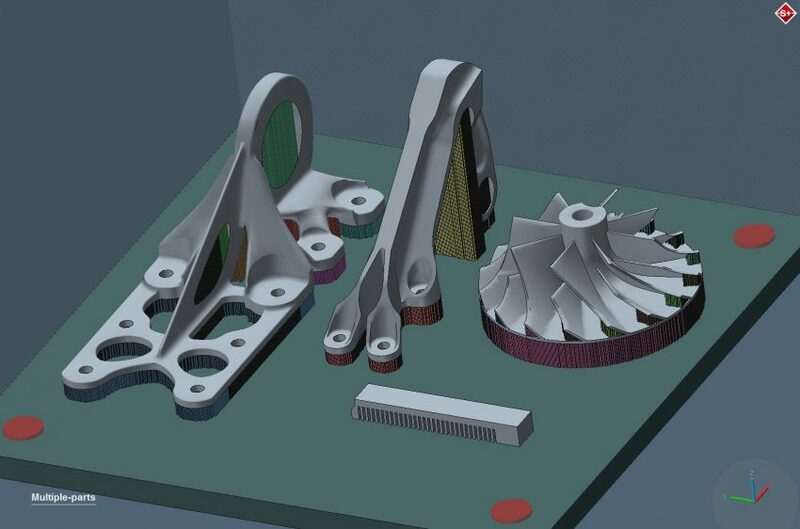 Features include simulation of all the key AM process steps starting with ‘printing’ of the part; followed by heat treatment, cutting the part off the build plate and removal of support structures, plus heat and pressure combined processes (HIP). The simulation of 3D printing processes provides information about distortions and residual stresses in the component. The results serve as a basis for the user to meet production tolerances with appropriate countermeasures before the part is printed.